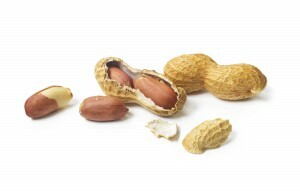 Parents hoping to prevent a peanut allergy in their children have something new to chew on. A study in the New England Journal of Medicine says eating peanut products as a baby can reduce the risk of developing the sometimes fatal allergy by about 80 percent. The study looked at 530 infants, who were given skin tests to determine they were at high risk of developing a peanut allergy. One group was given a dissolvable peanut snack and the other group told to avoid peanuts. At age 5, the children were given a supervised dose of peanuts. Researchers found an overall 81 percent reduction in peanut allergic reactions in the group that had consumed the nuts at an early age. Allergy experts still warn that high-risk infants should only be given peanut products after a medical assessment.